Who is Thieme and what is Thieme's relationship to radcases.thieme.com? Thieme Publishers is an award-winning international medical and science publisher that has been serving health professionals and students for more than 100 years. Thieme Publishers is the owner and copyright holder for the RadCases books and website. Please visit our website at www.thieme.com to learn more about Thieme and our products. There are so many excellent cases. Can I use them? All the images and text on radcases.thieme.com are subject to copyright law. To use the content from the site, please contact our permissions department. If you are interested in purchasing or using images or text from radcases.thieme.com, please contact our permissions department at permissions@thieme.com. To change your personal information on the RadCases site, please log in and then visit the My Profile page via the link in the top menu area. When does my online subscription start? It starts as soon as you enter your scratch-off code or purchase an online-only subscription. 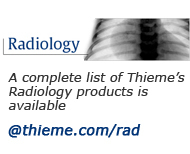 How do I purchase access to radcases.thieme.com? Purchase immediate access to 250 cases in the specialty area(s) of your choice, by clicking here. You can also purchase a book. Each book has a scratch-off code that gives you 12 months online access to the 100 cases in the book, plus it includes a scratch-off code that gives you an additional 150 cases that are not in the book. Learn more about each title on the RadCases Series page.